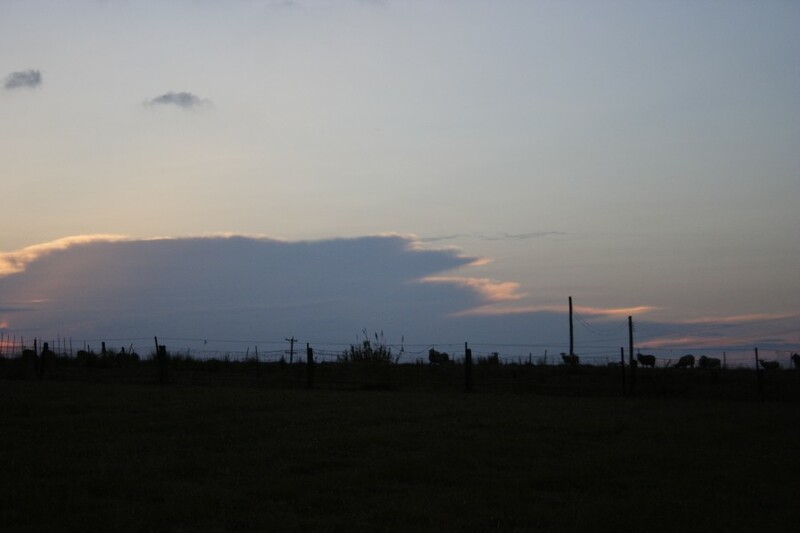 Gyday all, here are a few photos of a distant storm looking SW from Lismore tonight Tuesday 13 May. Some diurnal cooling assisted upper level instability the last few days to have storms persist after sunset. Along with a few great dividing range storms the last few days. Great shots there Rodney. 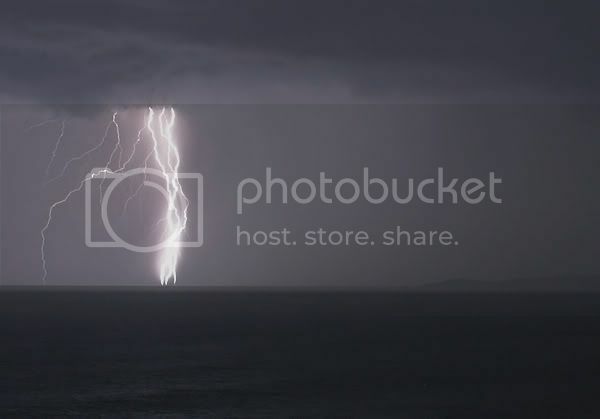 I also took some shots a bit closer to the action, was quite active with lightning. 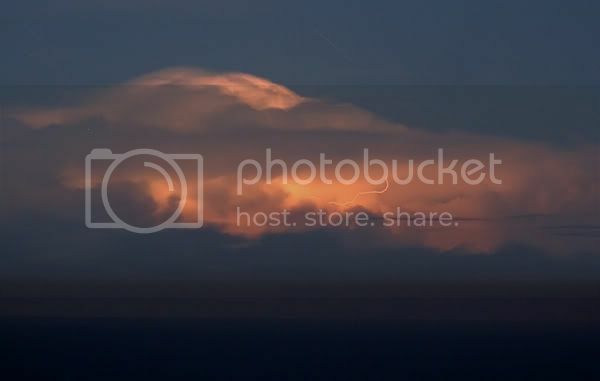 That last picture looked like the strike was quite close to you, Some nice shots, i was watching this develop on the radar while i was at T.A.F.E today, unfortunetly i was pretty much out of fuel and broke so i couldnt go out and chase, will have to fill up tomorrow. 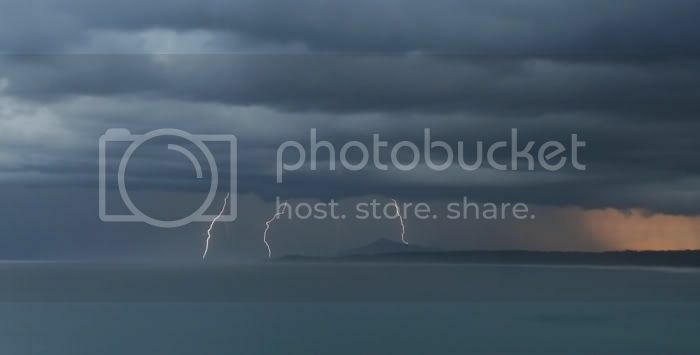 Today's storms seemed to cover from the Hunter to the North Coast. The forecast Sydney ones didn't get here though radar images indicated they might have developed over the Mountains and fallen apart once they got to the low terrain. Looking at the Newcastle and Grafton radar images about 5pm it seemed the storms were often heading in different directions with no consistency due to prevailing winds. Some were heading NW, some east and so on. Also at the same time the Sydney radar was showing one south of Campbelltown that seemed to be looping around, with it's direction almost circular. Checking the BoM website earlier one of the river height points near Bulahdelah (Myall Lakes stats) recorded 46mm in an hour which seemed to be the highest for the day. Some of the radar images out of Newcastle and Grafton seemed to indicate some pretty heavy downpours. There were drifts of 1cm hail in the Glenorie area. Thanks for posting those photos Rod and Kane. I was not able to get out and have a proper look last night so good to see what happened. 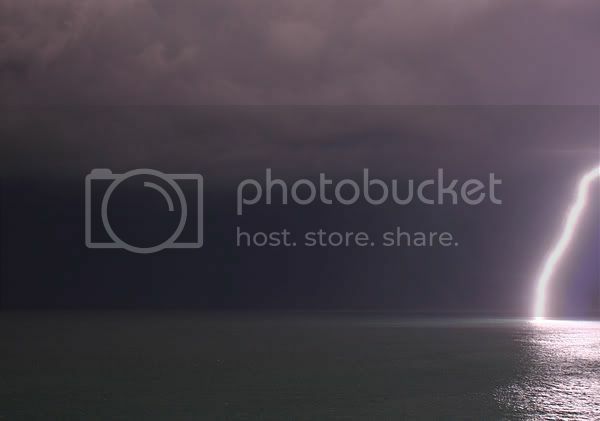 Spectacular lightning over the ocean there! That is one thick bolt too or it is relatively close! Thanks for that information because it verified what I was suggesting just in my mind. The updraft was quite decent and crisp for this time of the year. 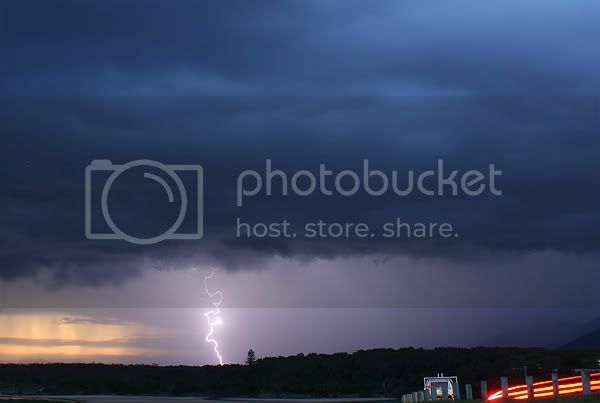 The lightning and thunder was reasonably frequent at one stage. Nice to hear after such a long period of nothing. No pictures given I was at school and no camera anyway. I was too lazy to go back inside once I saw the altocumulus castellanus and unsettled look to the morning. I can confirm the 1cm hail drifts in Glenorie. Drove through some of them after watching some pretty nice updrafts blow up over the area from home yesterday. Hail also fell out at Maraylya whilst I was out there. Stones to 1cm again however not the accumulation that Glenorie got. And the updrafts that formed earlier over the Glenorie region. Some nice shots taken by all! We were lucky enough to have a nice mamatus show over town earlier on this morning! I only wish there had been a decent clearing to let some sunshine through and light up the cloud bases a little more? No rain to report yet. Had a few spots come down just after the mamatus but there is a fair bit of heavy looking virga around, just need it to reach the ground now lol! 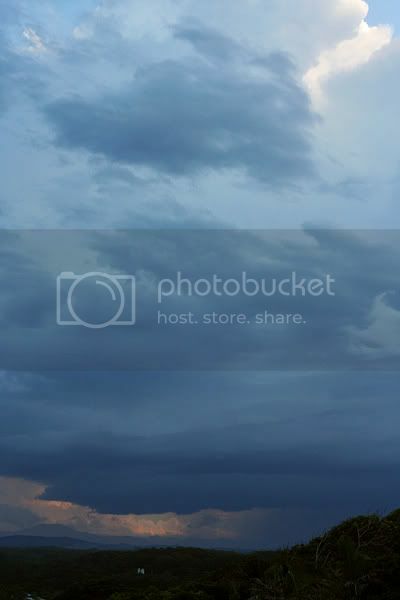 The photo below was taken from outside of my driveway. You may notice the grass is looking a little yellow and worse for wear across the road so it'd be nice to see a few decent falls from this system! Nice to have seen you capture the hail drifts in your locality. It was seriously a nice storm for this time of the year! 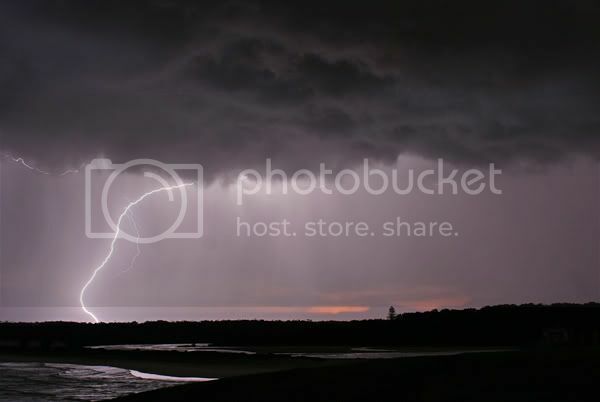 Offshore thunderstorms continued for the 3rd night running in my area. Last night (May 14, 2008) they were somewhat more isolated and further off the coast, still nice to see. 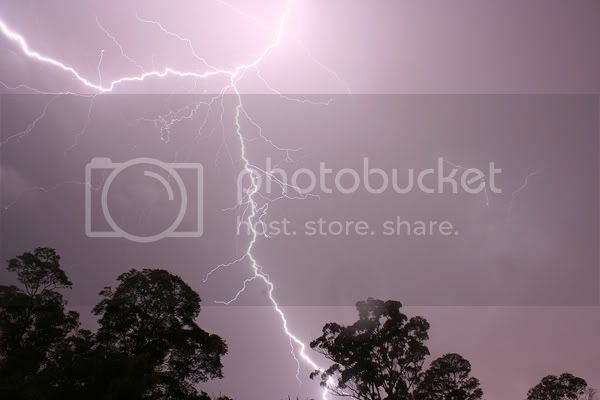 Jimmy, yes it was quite a thick bolt from the other night and about 300m away. Was bright enough to burn my eyes a bit. I'm also zoomed in about 35mm maybe. James those hail drifts look like snow! Nice shots everyone, it's great to see the persistence of storm activity well into autumn and perhaps winter. Saturday is looking pretty good for offshore activity, can't wait. You are definitely correct there. I don't think I ever recall 2000 CAPE progged on the models at this time of the year. Well that was the last time I looked! The picture you posted just above here looks like Mt Fuji!